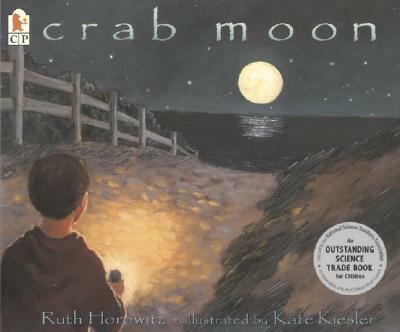 Like a perfect day at the beach, CRAB MOON leaves an indelible memory of a special adventure, and a quiet message about doing our part to preserve earth's oldest creatures. Back matter includes a note about horseshoe crabs. Ruth Horowitz is "drawn to species that get overlooked because they're not big-eyed or cuddly or cute. I hope this book will show readers the rewards of reaching out to a being that may seem utterly alien at first glance." Kate Kiesler makes her home in the mountains but enjoyed painting the seashore. "On a snowy day I could walk into my studio and be at the beach. Sometimes I could almost smell the salty air."